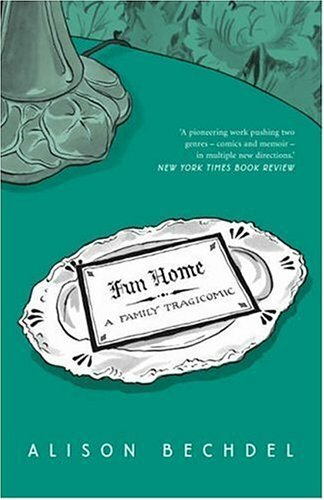 As incoming freshmen at Duke University wrapped up orientation week on Friday, campus newspaper The Chronicle checked up on the reaction to the choice of Alison Bechdel’s Fun Home as an all-class summer reading book. Although some freshman have opted not to read the book because they believe it would conflict with their values, it’s still evoking exactly what campus representatives everywhere hope to achieve with such communal reads: a passionate discussion about “big issues” like morals, sexuality, literary value, and living in a diverse society. The summer reading announcement at Duke in Durham, North Carolina came one year after some South Carolina legislators proposed punitive budget cuts against the College of Charleston for selecting Fun Home as an all-campus read for Summer 2013. Ultimately that debate ended with an unsatisfactory “compromise” whereby the college’s funding was restored, but the funds earmarked for teaching about founding documents, including the Constitution. More recently, a college sophomore and her parents in Yucaipa, California demanded that Fun Home and three other graphic novels be “eradicated from the system” after she had already completed the Crafton Hills College English class where they were assigned. College officials stood by the books and the school’s academic freedom policy, ultimately deciding not to require a disclaimer on future syllabi for the class.